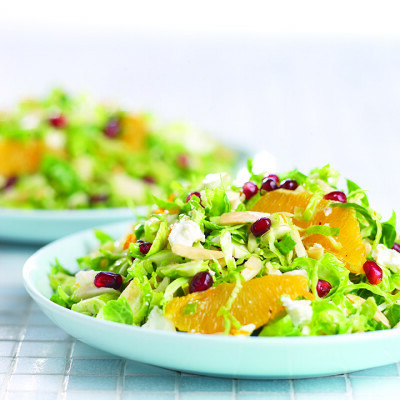 Shredded Brussels sprouts can be a healthy base for a salad that’s light and refreshing. Place all ingredients, including orange zest, in large bowl and toss to evenly distribute dressing components. Serve as a side salad or with some added protein to make it a meal.